Solutions » Bemacash - Bematech - Intelligence for business. Bemacash is an innovative Point of Sale solution that runs on an Android tablet or Bematech’s SB8010A Android All-in-One terminal. Bemacash is a cloud-based system which allows you to access your business data from anywhere at anytime! Technology is rapidly changing the landscape of retail operations so Bemacash was developed out of a need for a highly functional, easy to use and cost effective point-of-sale system to become the next generation cash register. Exponential growth in both technology and payments has changed the business process for retailers and what they expect from a Point of Sale system. Bemacash is providing solutions for these new expectations. Bemacash Quick Service Restaurant (QSR) bundles are ideal for use in cafes, fast-food restaurants, concessions, food trucks and just about anywhere that doesn’t require table service – or even some places with quick table turnovers such as diners. 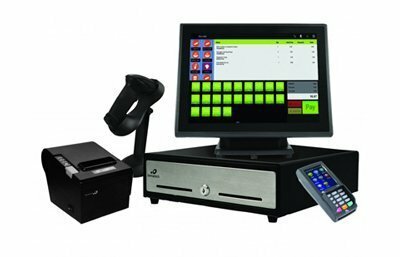 Bemacash Retail Bundles are fully equipped to support the day-to-day operation of retail stores, boutiques, kiosks, convenient stores, gift shops, pet shops, electronic shops, candy shops and just about anywhere physical goods are purchased.